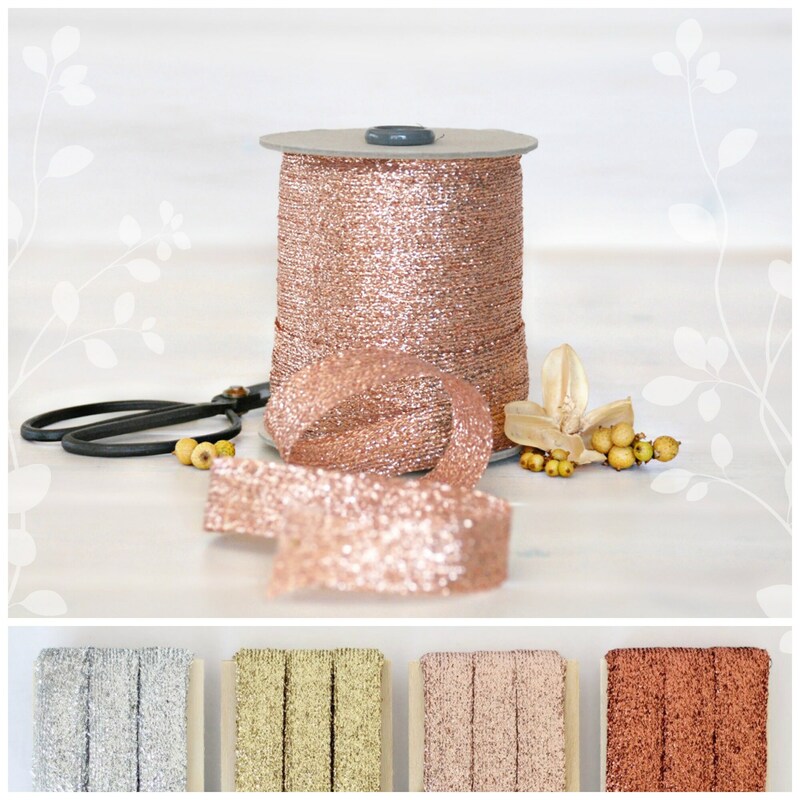 QTY: 3, 6 or 54 yards in the colors of your choice. Wooden Spool is optional, please select from drop down menu. 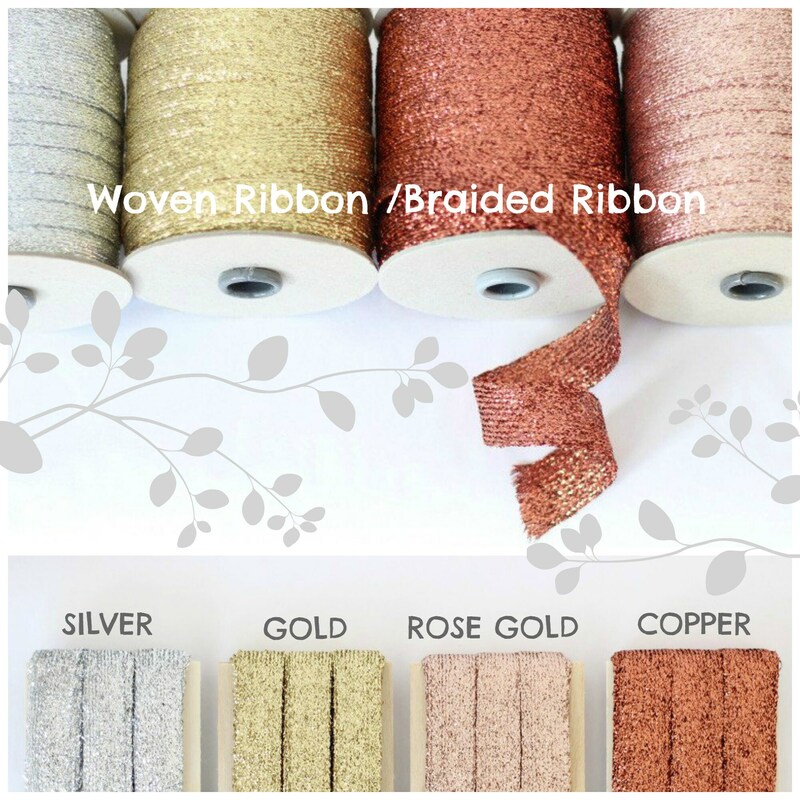 These gorgeous braided ribbons are perfect for wedding and to make add an elegant touch to your gift wrapping. 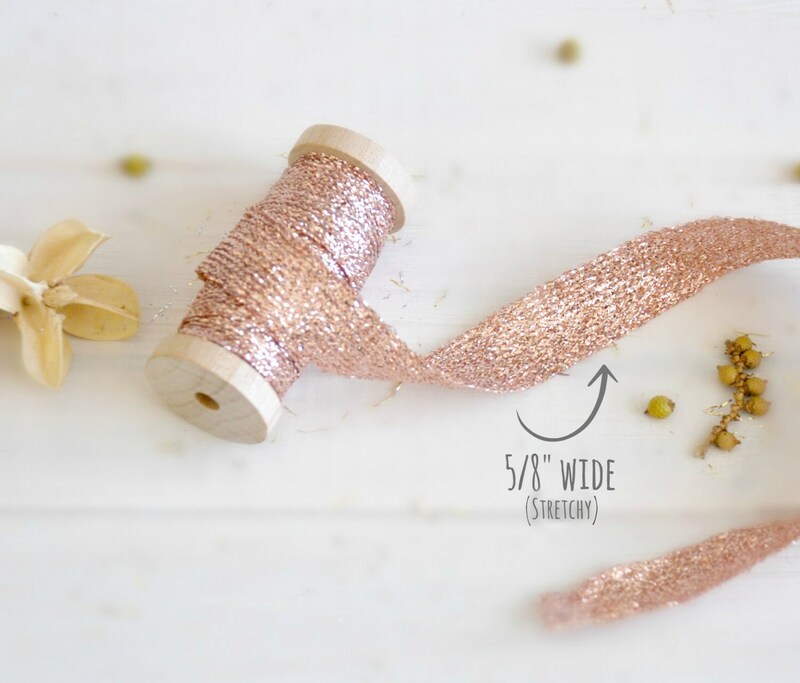 You can use these many other craft idea. Thank you! Beautiful as always. 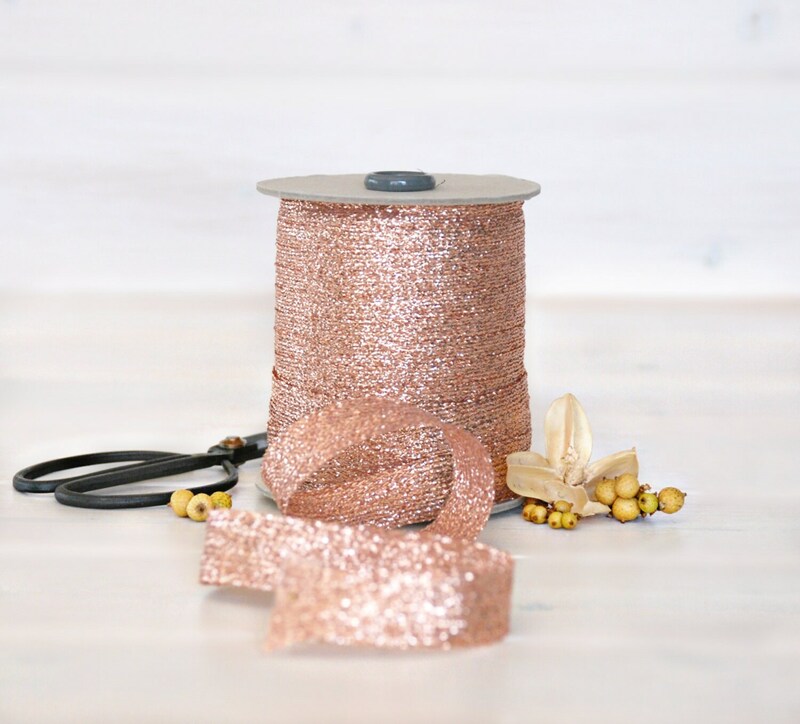 Another pretty & reasonable metallic rose gold ribbon. I’ll probably return to this store, as well, to look at other products they sell. And, my order arrived fairly quickly considering the holiday mail delays. Thanks!